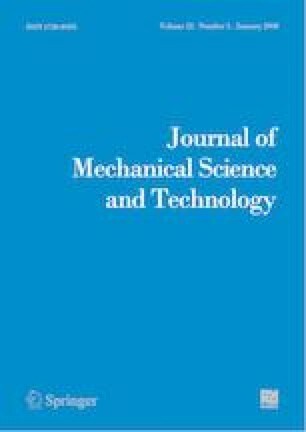 In this paper, a multiple model (MM)-based detection and estimation scheme for gas turbine sensor and gas path fault diagnosis is proposed, which overcomes the coupling effects between sensor faults and gas path faults, and simultaneously realizes an accurate diagnosis of sensor and gas path faults. First, an adaptive fault detection and isolation (FDI) framework based on the MM method was established to detect and isolate sensor faults and gas path faults. Then, a fault amplitude estimation method was proposed according to the FDI results, and a fault validation method based on the Chi-square test was proposed to confirm the actual fault. Finally, hardware in the loop (HIL) simulation platform was established to validate the effectiveness of the proposed method. Several simulation case studies were conducted based on a two-shaft marine gas turbine with common gas path faults and sensor faults. The simulation results show that the proposed method can accurately diagnose the fault and estimate the corresponding fault amplitude when both the sensor fault and the gas path fault coincide. Qingcai Yang is currently a graduate student for Ph.D. degree of Power and Energy Engineering at Harbin Engineering University. Mr. Yang’s research interests are in the area of gas turbine performance simulation, gas turbine health estimation and gas path fault diagnosis. Shuying Li received the B.S., M.S. and Ph.D. degrees in marine engineering, all from Harbin Engineering University in 1986, 1992 and 2000. She is a Professor of College of Power and Energy Engineering at Harbin Engineering University, China. Her research interests are in the areas of gas turbine simulation and fault diagnosis. Yunpeng Cao received the B.S. degree from the Hebei University of Technology in 2002, and the M.S., Ph.D. degrees all from Harbin Engineering University in 2005, 2011. He is an Associate Professor of College of Power and Energy Engineering at Harbin Engineering University, China. His research interests are in the areas of marine power plant fault diagnosis and safety validation.